Take a relaxing guided tour through Ireland’s capital city, starting at the Dublin City Centre. For 2 hours, your tour guide will lead you through all the must-see sites with stops at Dublin Castle, St. Patrick’s Cathedral, Guinness Brewery, and Christ Church Cathedral. Your tour guide will introduce you to the local culture and all its history while still giving you time to snap as many photos as your heart desires! Appropriately named the Cotswolds Treasure Trails Tour, this 25-mile ride includes a map and clues you’ll follow along the way to unearth answers about Cotswolds’ beautiful history. 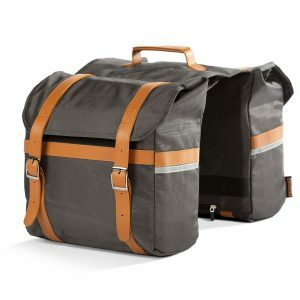 There are small portions of the tour that involve a little bit of hiking and puzzle solving but a majority of it is spent on the comfortable seat of a Pedego electric bike. This is a great family or team activity and recommended for groups 4 or smaller. 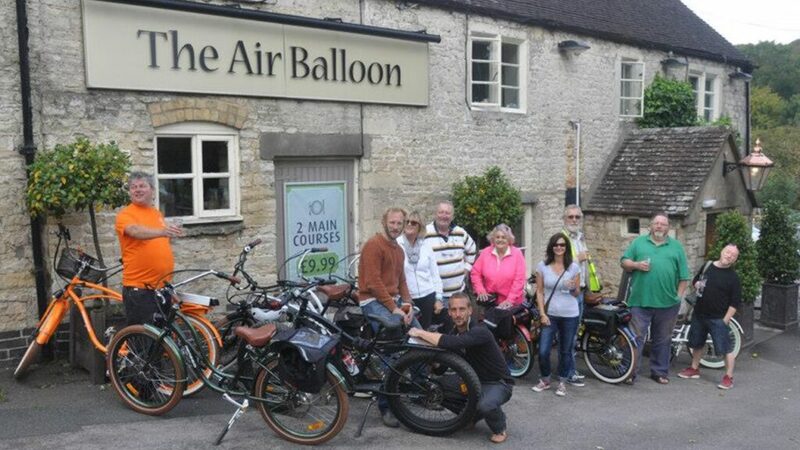 For groups bigger than 4 and up to 18 people, we’d recommend the Pedego Cotswolds rentals. You can set your rental hours, choose your own routes, and see the stunning countryside at your own pace. Named as one of the Top 10 Islands in the World by Travel + Leisure Magazine in 2016, Ischia’s breathtaking beauty and charm is something you need to see to believe. 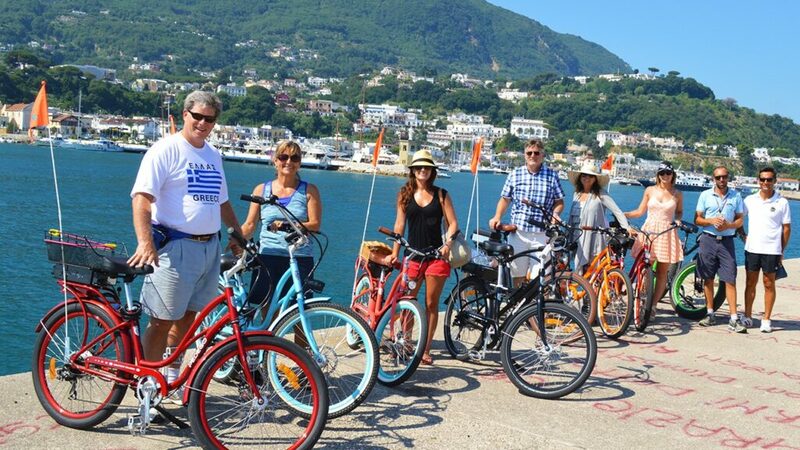 And thanks to Pedego Ischia’s Electric Bike Tour, you can see and experience all that Ischia has to offer on a leisurely ride along the coast and through the picturesque towns. Your local tour guide will fill you in on all of Ischia’s history as you cruise along the coast and stop for photos. Discover Basque County like never before as you ride through a unique blend of landscapes, vistas, old ports, and historical towns. Your guide will share local secrets and hidden gems about this lesser-known region of France during this 2-3 hour electric bike tour. Explore the rich and varied movie and television filming history of the region with a 3-hour guided tour. The tour starts with a 30-min ride to Paramount Ranch and glides on to the former 20th Century Fox movie ranch. See where movie stars like Cary Grant, Barbara Stanwyck, and Charlton Heston made silver-screen magic. 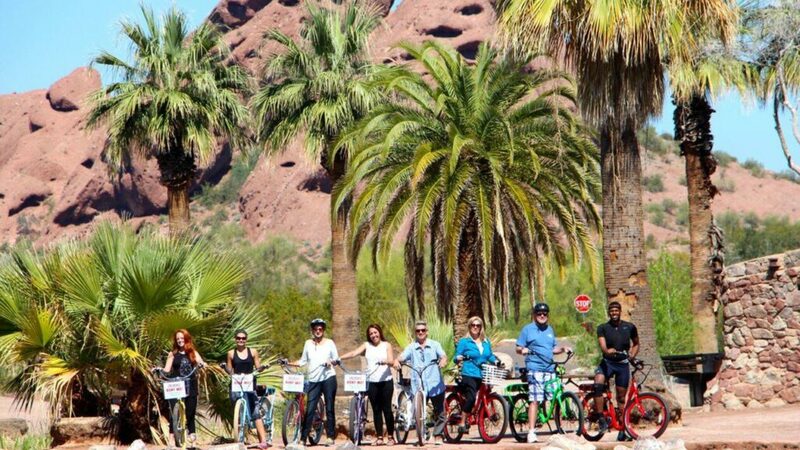 Enjoy a relaxing Pedego tour (guided or self-guided – it’s up to you!) along the paved bike path of the Grand Canal, the Crosscut Canal paths behind the Phoenix Botanical Gardens, the Phoenix Zoo, and to the picturesque Papago Park and famed “Hole in the Rock.” The tour continues to Tempe Town Lake Marina with great views of the emerging Rio Salado skyline and up the Inidian Bend Wash Greenbelt back into Scottsdale, through golf courses, city parks, and Old Town Scottsdale. 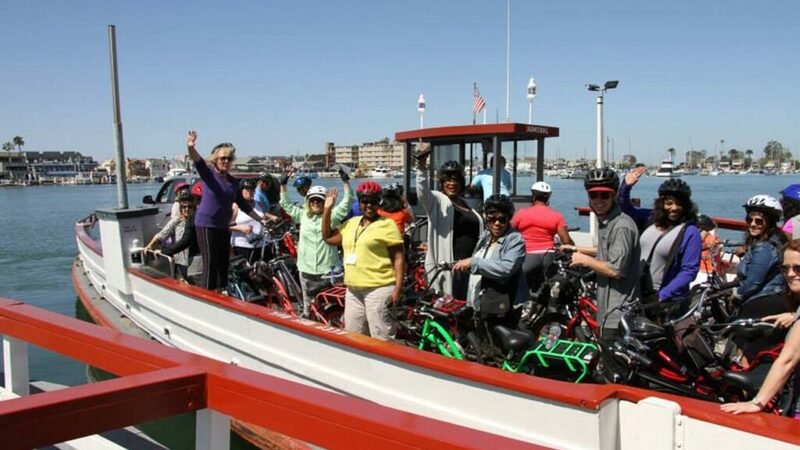 Pedal or power to historic Balboa Island with its quaint shops and restaurants and take the ferry across Newport Harbor to the Fun Zone. This scenic tour takes you to the tip of Balboa Peninsula where you’ll pass by some of the most impressive Newport Beach real estate with gorgeous views of the harbor and California coast. You’ll ride to the famous “Wedge” at the end of the Peninsula, world famous for its waves and surfing, and known to produce giant waves up to 30 feet high. 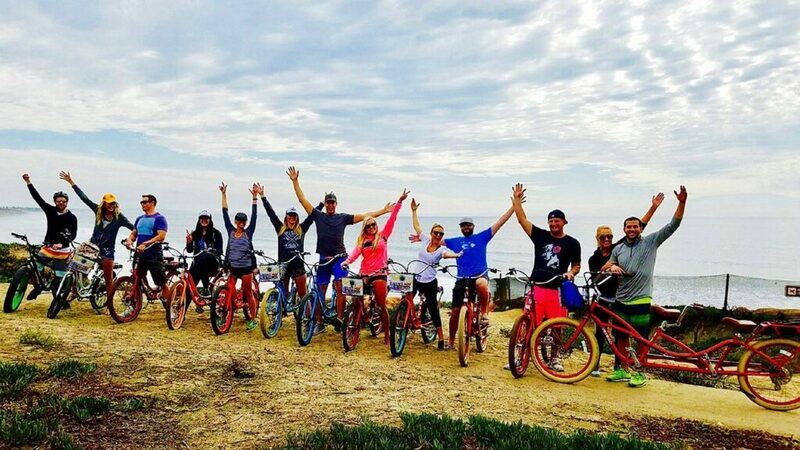 In approximately 2.5 hours, your tour guide will take you alongside Historic Hyw 101 through towns of Leucadia and Encinitas while sharing fun facts about San Diego and California. You’ll pass by funky shops, local cafes, beautiful Eucalyptus trees, waterfalls, and koi ponds. The ride through rolling paths, coastal views, and a variety of nature’s plants is sure to put you at peace when the tour ends. 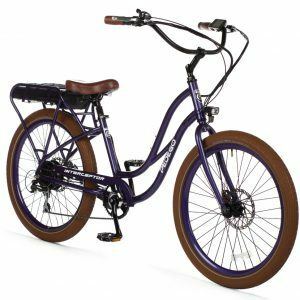 Learn the history of Breckenridge and take in incredible scenic views of the town, the Ten Mile Triangle, and local neighborhoods with a “get to know Breckenridge” electric bike tour. 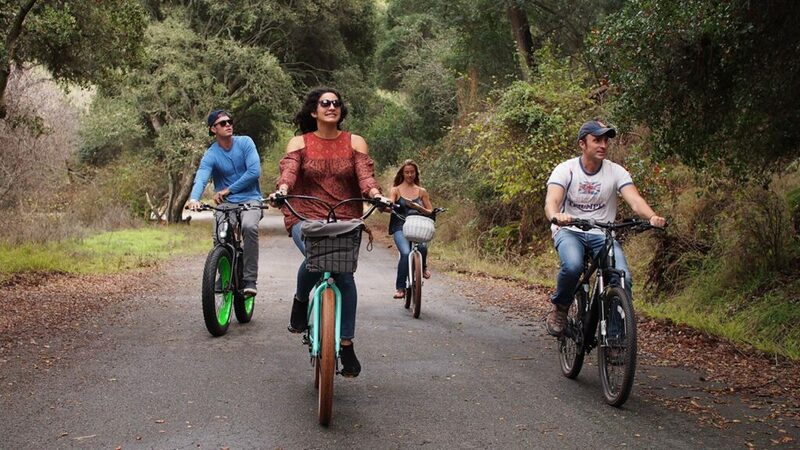 Hills and elevation become fun as you cruise effortlessly on your 11-mile Pedego experience. Take in the views of the valley while you learn about the history of Steamboat. 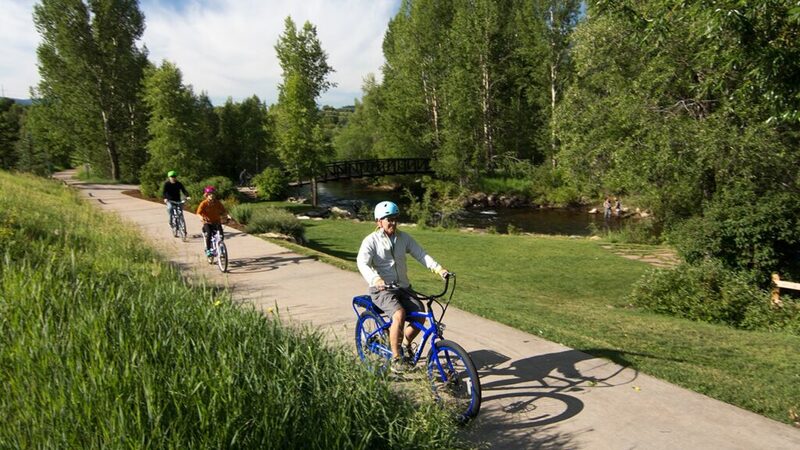 This Pedego tour will take you along the Yampa River Core Trail, River Road to Mt. Werner, up and over Steamboat Blvd to the Fish Creek Falls and back into town. 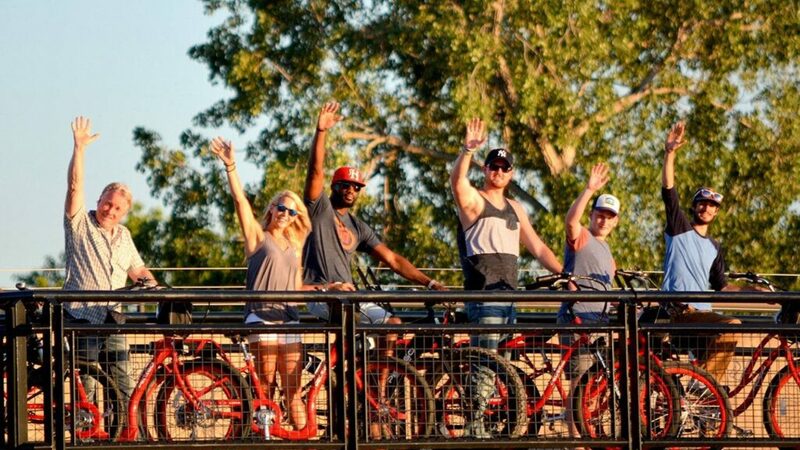 Pedego Bend’s Brew Cruise Tour offers a guided tasting experience, visiting some of Bend’s craft breweries and tasting rooms. Enjoy small samples from each brewery and have a quick, light appetizer at each stop. 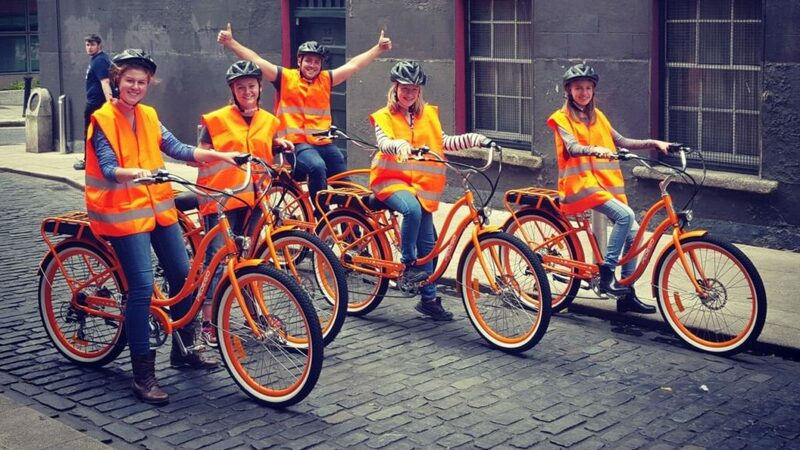 For riders who might not love beer as must as the rest of the tour group, Pedego Bend will mix it up and visit some of Bend’s best cider houses, wine tasting rooms or even kombucha brewery – there’s something for everyone! Take a relaxing ride through Jupiter and Jupiter beach as you tour the area like a local. This 12-mile roundtrip ride will take you to Loggerhead Turtle Marine Center where you can almost touch the sea turtles as they pop their heads up above the waterline. You’ll travel up the A1A beachline and stop at the Square Grouper, a low-key beach bar where Alan Jackson and Jimmy Buffet filmed their “It’s Five O’Clock Somewhere music video. You’ll see a magnificent view of Palm Beach County from the Jupiter Inlet and end with a grilled picnic on the beach overlooking Dubois Park. Enjoy a beautiful tour from SYV Marriott in Buellton into the quaint historic town of Los Olivos. 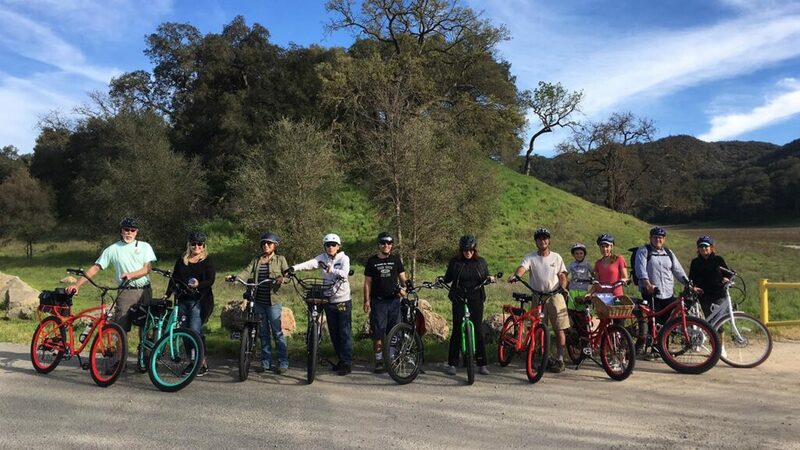 This 8-mile tour will show you the best of what wine country has to offer, passing historical ranch lands and expansive rolling vineyards. Once in Los Olivos, you’ll get to enjoy stops at wine tasting rooms, restaurants, and boutique shops. Lunch and wine tasting will be provided at Coquelicot Tasting Room. Take a 20-minute ferry over to Angel Island to explore the remote land with a 3-mile loop around the island. 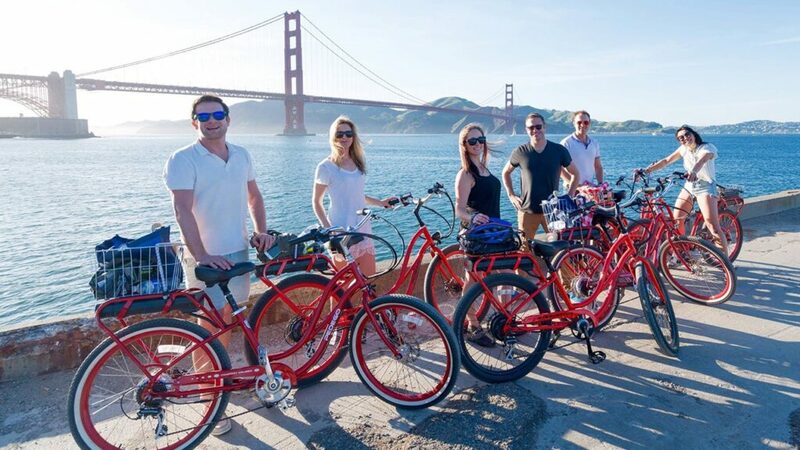 While most people wouldn’t be able to loop around Angel Island on a regular bike, the Pedego electric bikes will allow you to soar up hills and enjoy the scenic views. Ride to the Stockyards and experience an authentic longhorn cattle drive! Drovers are available before and after each cattle drive for photo ops and questions. 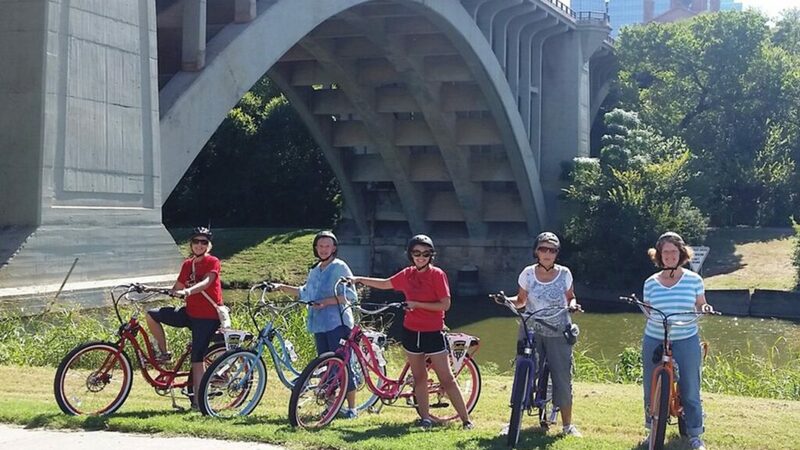 You’ll ride through Downtown and along the bike trails of the Trinity River. 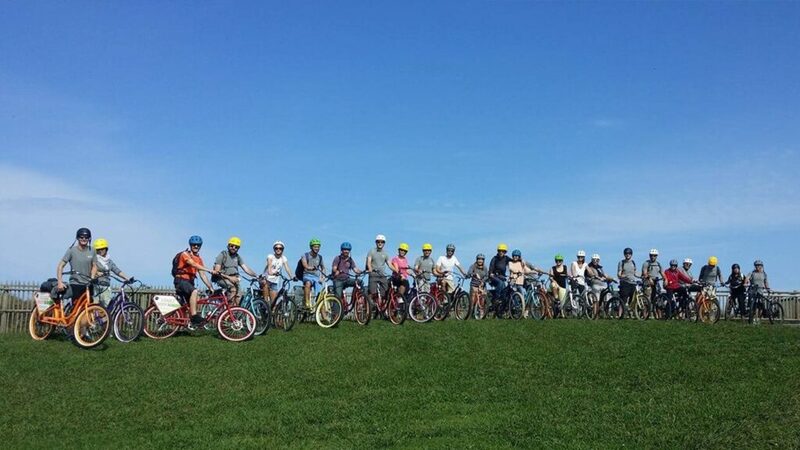 DC Insider tours is the first and only tour company to offer electric bike tours of the nation’s capital. 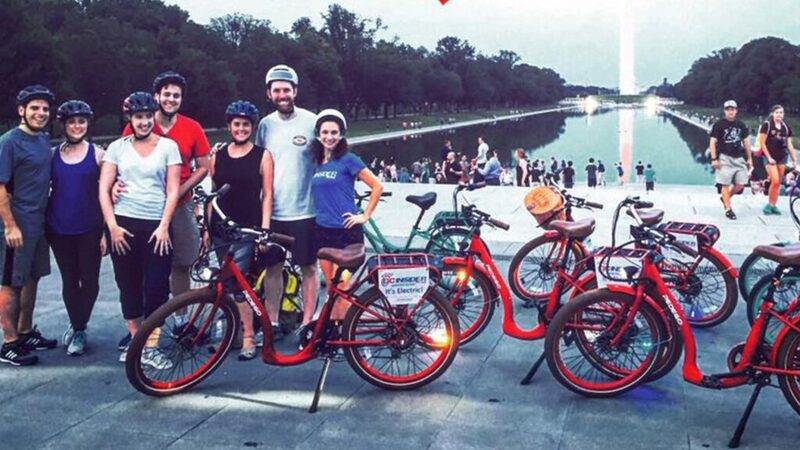 On the Full Throttle DC Electric Bike Tour, you’ll zip through Washington, DC, visiting all four quadrants – NW, NE, SE, SW – in under 4 hours. Some of the highlights include: U.S. Supreme Court, Lincoln Memorial, Vietnam Memorial, Library of Congress, Ford’s Theater, U.S. Capitol Building, Lafayette Park, and The White House. 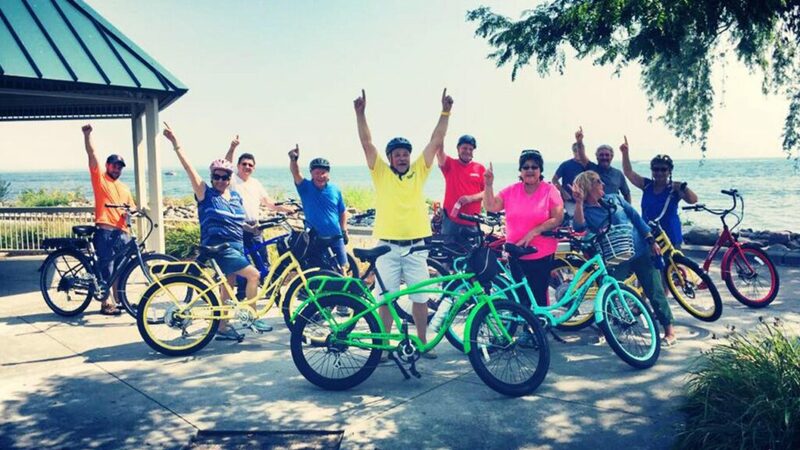 Embark on a truly unique experience of Harrison Township area on a guided electric bike tour. You’ll ride along the Harrison Township Sergeant Osman Memorial Bike Path and the Freedom Trail to Lake St. Clair Metropark. 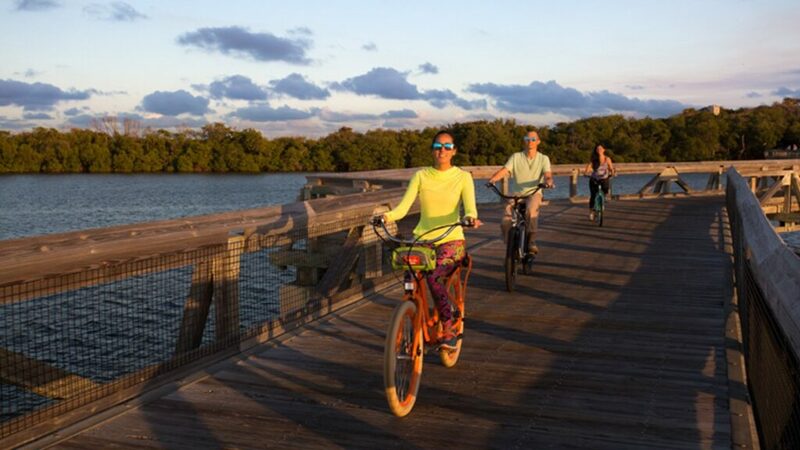 Take in the views of native wildlife and the sandy beach as you cruise the boardwalk. Complimentary snacks and beverages will be provided along the way! 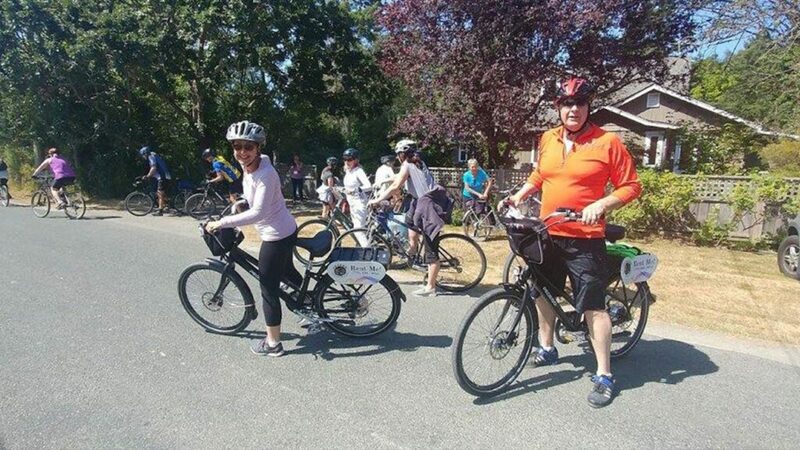 Locals and tourists alike will enjoy this relaxing, guided ride along the small roads and trail on the Saanich Peninsula. Throughout the day, you’ll meet growers, chefs, harvesters, and producers on the Saanich Peninsula and sample delicious treats. You’ll cycle from country markets to farms and have the opportunity to stock up on fresh produce, seasonal fruits, and meat. Designed for the explorer, this short tour takes you to iconic destinations before setting you free to explore the city yourself. You’ll visit 8 locations with plenty of time for photo stops. Along the 90-minute tour, you’ll glide past neighborhoods that are off limits to tour buses, and see some of San Francisc’s most famous sights, including the Golden Gate Bridge, Fisherman’s Wharf, Marina, and the Palace of Fine Arts. 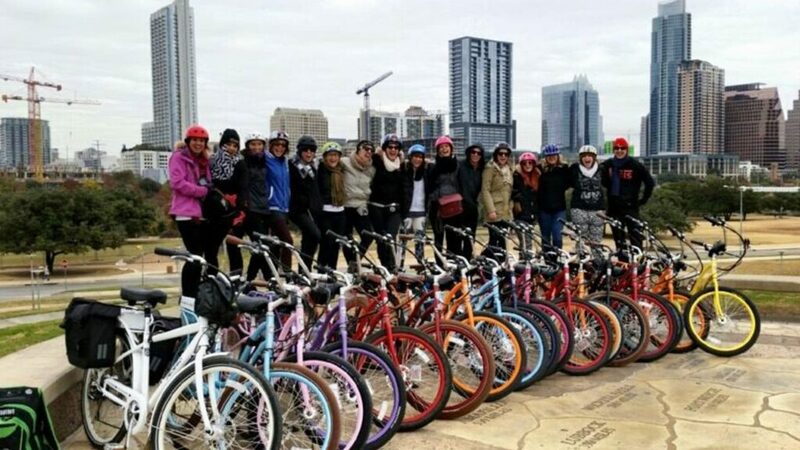 Get to know Austin, TX on a 2 hour Pedego tour along the shores of Lady Bird Lake. You’ll see the heart of Auston on some of the finest urban bike trails in the country while riding at a leisurely pace. The tour stops at some of Austin’s most famous landmarks including Barton Springs, the Stevie Ray Vaughn Statue, the Anne W. Richards Congress Avenue Bridge (known as the “Bat Bridge”) and more!